About this Fragrance ~ Smooth creamy & rich French vanilla tempts your tastebuds. This soft, off-white candle is an exceptional, highly aromatic vanilla, unlike any other. 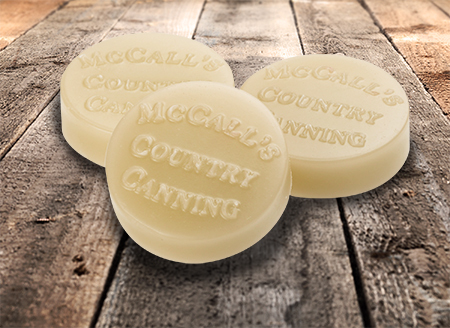 About this Product ~ Our Buttons™ are our original 0.7 ounce wax melt embossed with the McCall's Country Canning logo. Buttons release McCall's alluring fragrances simply by way of melting fragrant wax. Melt one or two Buttons in your favorite Melter.